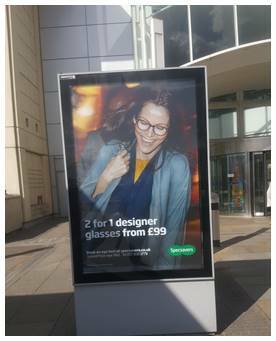 Challenge To promote the Specsavers store within the Mall and make visitors aware of their offers such as 2 for 1 prescription glasses. 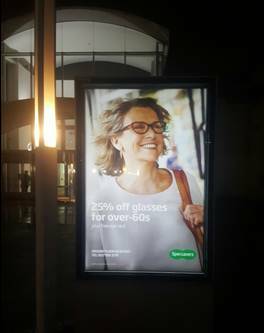 Solution Long term booking of more than 3 years: 2 x back lit 6 sheets facing people entering the busy entrance to the Cribbs Causeway Mall at John Lewis located within close proximity to the Specsavers store. 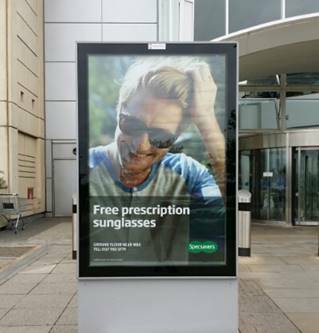 Result We at Specsavers have found Peel Media great to work with, and the booking system is easy to use. When we first opened our store inside the shopping centre, we had a slight issue with customers finding our store. 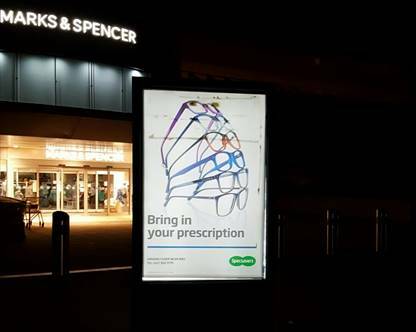 However, when we started advertising on the billboards, this helped drive awareness of the store, and customers were finding it much easier to find us.